Synth-Werk Model 10 with the 914 band fixed filter bank in favour of the 10 band version, and with an extra third 901B VCO and 921 VCO in favour of a 901 oscillator for some variety. The top box features a single wide version of the Bode ring modulator, another 921 VCO, two addition envelopes, a 904B highpass VCF and a second VCA. The little black box in the lower left is the EEH DS 500 sequencer for playing the modular. The german company Synth-Werk is located in Munich, the capital of Bavaria. But not everything in Munich is about beer and the Oktoberfest. 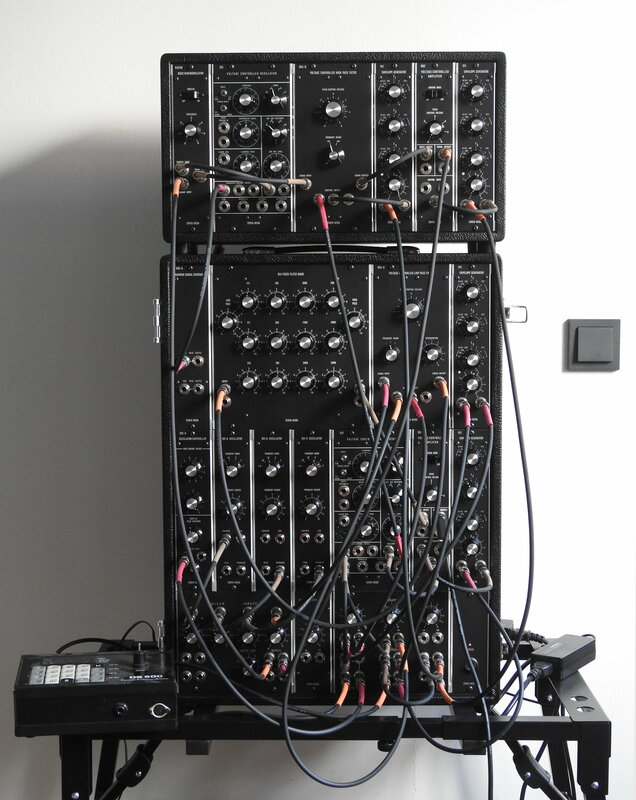 Gerhard Mayrhofer builds high quality replica modules of the vintage Moog Modular stuff. His goal is to keep the Spirit of Trumansburg alive. He is not copying the traces of the PCB nor does he only use vintage NOS parts. But soundwise these are real clones. And the look is authentic. Only the S-Trigger Cinch/Jones connectors are not needed (perfect!). All trigger inputs are V-trig, not the old S-trig standard. But every rule got an exception: The SW921 replica got a S-trig Cinch/Jones socket for the clamping (sync) input. The Modules are made with a quality frontplate and most modules got a semi shield metal box around them. The connectors on the modules are synthesizers.com standard. The +5V is not used in all the modules I got. The fixed filterbank SW 907 and SW914 use real inductors. These behave soundwise very different than typical filters with only capacitors and resistors. So this is not just an equalizer. You get the full bold and organic sound of those vintage Moog Modular systems. 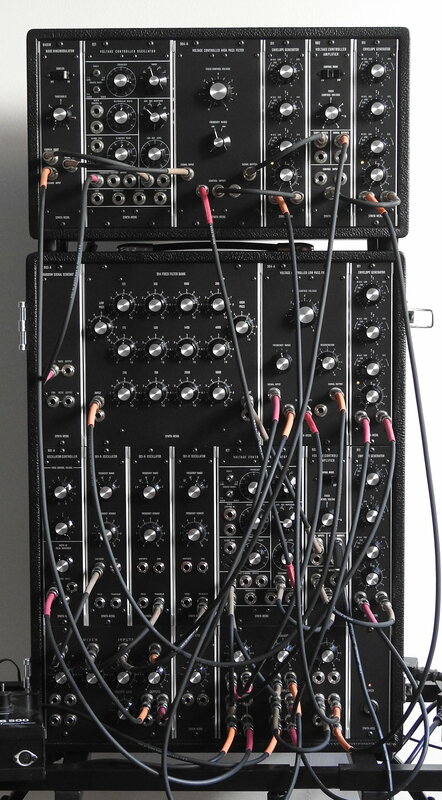 I wonder if someone would get a A/B blind test of these modules and the real vintage ones right. And it is such a joy to use these famous sounding and familiar looking modules finally.